A Boy Named Charlie Brown (National General, 1969). Half Sheet (22" X 28"). Animation. Starring the voices of Peter Robbins, Pamelyn Ferdin, Glenn Gilger, and Andy Pforsich. Directed by Bill Melendez. 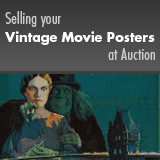 An unrestored half sheet poster with an overall presentable appearance. It may have slight edge wear, corner bends, creases, tears, pinholes, smudges, unobtrusive stains, writing in the upper right corner area, and a lower right corner chip. Please see full-color, enlargeable image below for more details. Artwork by Charles Schulz. Rolled, Fine+.